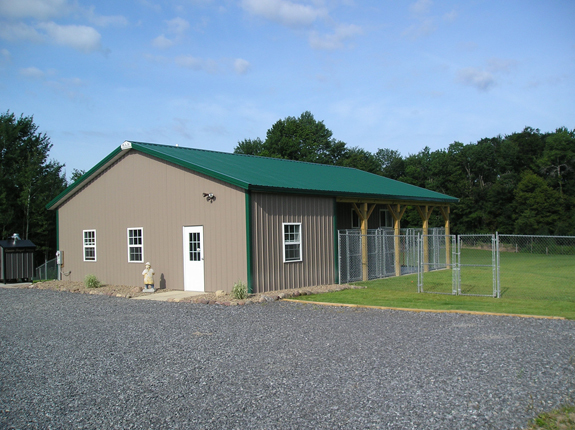 The Packway Canine Boarding Facility was completed in 2009 on 37 acres of meadows and woods with walking trails, alongside the owner/operators residence. Air conditioning, radiant in floor heat and a raised cot in each kennel assures your best friends comfort. 3 acre free range exercise yard.